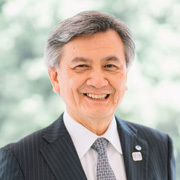 The Japan Ryugaku (a Japanese word meaning "study abroad") Awards grand prizes have been conferred on nine Japanese universities and vocational schools in 10 different categories for the excellence of their academic programs for non-Japanese students, and their achievements in helping the students find jobs in Japan. The awards ceremony was held at the National Olympics Memorial Youth Center in Tokyo's Shibuya Ward on Aug. 7, and was attended by faculty and staff of Japanese universities and Japanese language schools and those in related businesses. 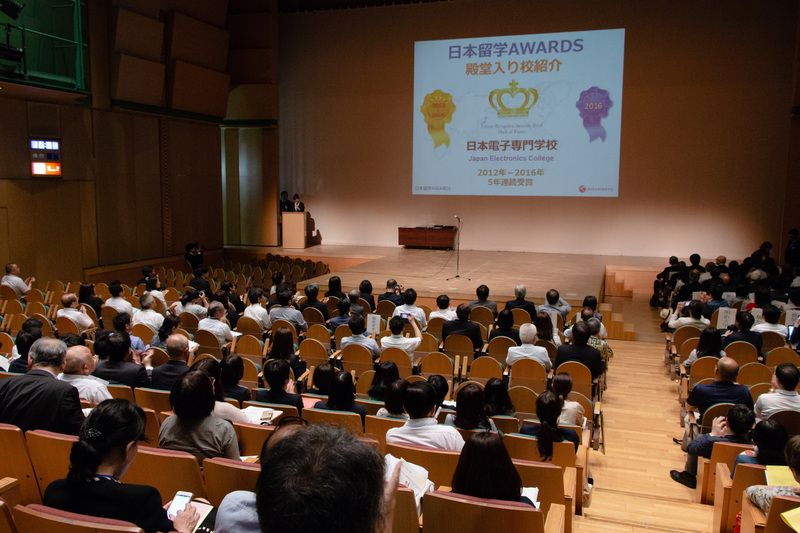 The Association for the Promotion of Japanese Language Education organizes the annual awards and Japanese language schools select the winners. "The purpose of the awards is to enhance the environment in which foreign students study in Japan. 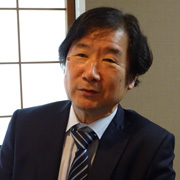 Award-winning schools were praised for their support for foreign students, content of their education, excellence in their screening system, readiness to accept foreign students and other points," said Hiroko Yamamoto of the Committee of Japan Ryugaku Awards, who is also the director of Kai Japanese Language School. In explaining the nomination and winner selection procedures, she said the award committee used online questionnaires and required respondents to give their names to ensure credible answers. Among the award-winning criteria for universities and vocational schools are providing easy-to-understand information, abolishing the requirement of guarantors living in Japan (for example, in case students fail to pay tuition), a great support system to help students find jobs in Japan and an excellent language learning curriculum. This year was the seventh annual awards ceremony and The Japan Times has provided support since last year's event. The ceremony also had 20 other supporters, including JR Tokai Tours, Flywire, Sakura House and International Student Identity Card Japan, among others. 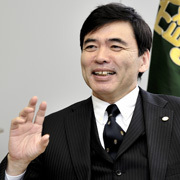 The Association for the Promotion of Japanese Language Education came up with the idea of creating the awards to boost the number of students from overseas because many international students left Japanese language schools and returned home after the Great East Japan Earthquake and tsunami in March 2011. The awards are given to five categories of schools or school departments in east Japan and five categories in west Japan. The types of schools or departments are senmon gakko (vocational schools), bunkei (humanities, social studies, literature, etc.) departments of private universities and the rikei (science, math, engineering, etc.) departments of private universities, public universities and graduate schools. This year, 181 Japanese language schools across Japan submitted 454 votes to select about 50 schools, including Tokyo Metropolitan University, Tokyo Denki University and Shibaura Institute of Technology, across the 10 categories. Five institutions that include schools, universities and university departments were selected as winners in each of the 10 categories. At the ceremony, one of the five was selected for the grand prize. The grand prizes in senmon gakko in east and west Japan went to Tokyo International Business College and Ehle Institute. Seigakuin University and Kwansei Gakuin University took the prize in the category of bunkei departments of private universities in east and west Japan. 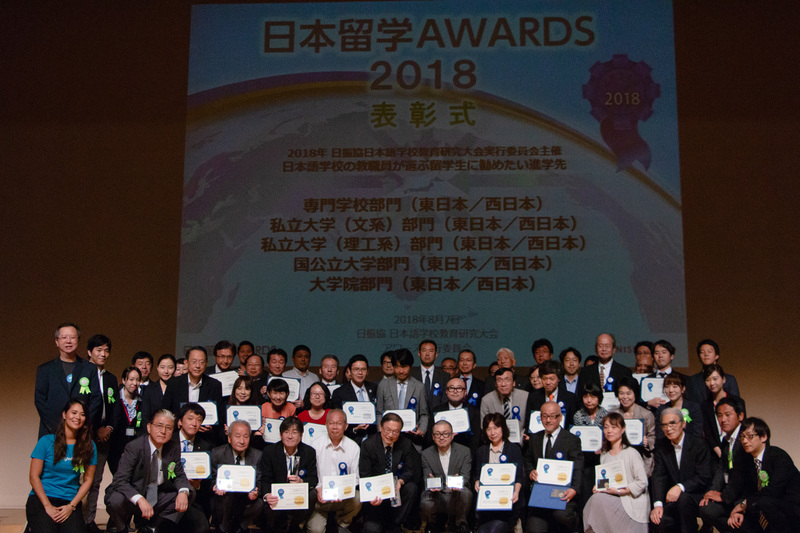 Ashikaga University and Fukui University of Technology won the grand prizes in the rikei departments of private universities category for east and west Japan. The public university category prizes went to Yokohama National University for east Japan, and Osaka University for west Japan. In addition to the main categories, the Japan Ryugaku Awards has a Hall of Fame for schools that have won the competition’s grand prize for five years in a row. The grand prize winner of the graduate school category in east Japan was Yokohama National University, while in the west, Ritsumeikan University took home the prize. To honor schools that have won the grand prize five years in a row, the award committee inducts them into the Hall of Fame. Schools in the hall will not be nominated for the awards for the following three years. This year, Ashikaga University and Fukui University of Technology entered the Hall of Fame. They are the third and fourth schools to be awarded such status after Japan Electronics College won the grand prize two years ago and Waseda University's graduate school won last year for the fifth straight year. "We still do not think we do enough to support foreign students. 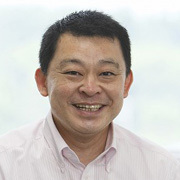 We will continue to do so, especially supporting them to land jobs," Ashikaga University President Kazuo Shoji said. 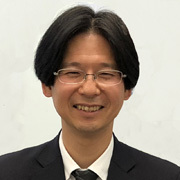 Yoshihiko Okazaki, director of the International Center and a professor in the Department of Applied Nuclear Technology at Fukui University of Technology, also expressed his gratitude. "Thank you very much for such an honorable award five years in a row. Even after entering the Hall of Fame, we will not rest and will continue to support foreign students." The awards ceremony had two guests from the government. Maki Okada of the Student Support and Exchange Division in the Higher Education Bureau of the Ministry of Education, Culture, Sports, Science and Technology, said: "Thank you very much for inviting me and your efforts to increase acceptance of foreign students. We will try our best to realize our target of 300,000 international students a year coming to Japan." Kanae Hidekawa, from the Human Resources Policy Office in the Economic and Industrial Policy Bureau of the Ministry of Economy, Trade and Industry, said: "The government is unified in efforts to increase foreign students in Japan. You (prizewinners) are making great contribution to increasing the ratio for foreign students to land jobs. High-quality education is essential to attract foreign students and we are grateful you are on top of it." The awards ceremony is also an opportunity for Japanese language schools to submit their requests to universities and various schools accepting their alumni. Such requests include informing the language schools of what their alumni do after graduation, keeping them up to date with the academic results and class attendance ratio of their alumni, providing more detailed information on entrance exams and screenings, and increasing the number of new students to be accepted in October. One Japanese language school requested an improved environment for students from non-English speaking, non-kanji using countries. Another asked for more availability of scholarships for foreign students even if that means a smaller amount for each recipient. These five schools are some of the schools that won Japan Ryugaku Awards for their excellence in supporting foreign students this year and one of the schools that have entered the Hall of Fame after winning the grand prize for five years in a row. Established in 1951, we have produced more than 110,000 graduates to companies around the world. More than 600 students from abroad are learning at our college, and we register foreign students from 28 countries at present. More than 90 percent of students from abroad succeed in getting a job in Japan every year. We'll support you in "technological learning," "life"and "getting a job." The faculty and staff will make every effort to make your days at SIT prosperous and successful. At the same time, we hope you will spend your time being eager and enthusiastic. Do not underestimate your own potential. You may be surprised how much you can do when you really try. Don't listen to discouraging advice and don't give up easily. Keep your goal high. Since its foundation, Tokyo Denki University has made significant contributions to society, especially in science and technology. TDU provides assistance to help international students with their academic and personal lives. The International Center and the on-campus lounges offer various support and host many events. TDU also furnishes learning and career support to international students. In addition, scholarships and financial support for them are available. TMU is the only public university of the Tokyo Metropolitan Government, offering high-level education and research experiences in many fields, utilizing rich academic resources in Tokyo. TMU gives financial support, including tuition waivers, international student housing, one-to-one tutors and more. At TMU, with over 500 students from 36 countries, we will accept more international students. We are looking forward to welcoming you! Yokohama National University's missions are "Be Active," "Be Innovative," "Be Open" and "Be Global." Our five colleges offer practical learning in education, economics, business administration, engineering and urban sciences. YNU's five graduate schools produce highly specialized professionals in education, social sciences, engineering, environment and information sciences and urban innovation. We provide Japanese language courses at six levels, a high tuition waiver rate and effective career support for international students.